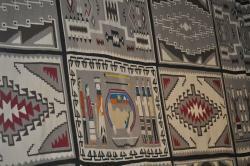 One of the largest Navajo rugs in the world is currently on display at Bosque Redondo Memorial at Fort Sumner State Monument through October 28, 2012. The Little Sister Rug measures 26 by 28 feet. 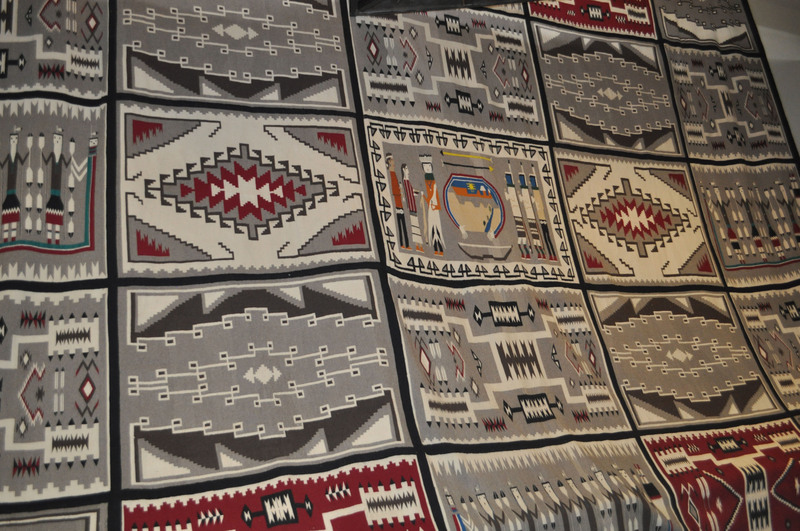 Twelve weavers, members of the Chilchinbeto Chapter of the Navajo, worked simultaneously and in two groups - one on each side, their work meeting in the middle. The project was begun in 1981 and completed a year later. The rug appears to be a compilation of smaller rugs, all with a distinct border and design, yet the multiple panes each tell a story and are one continuous weave. 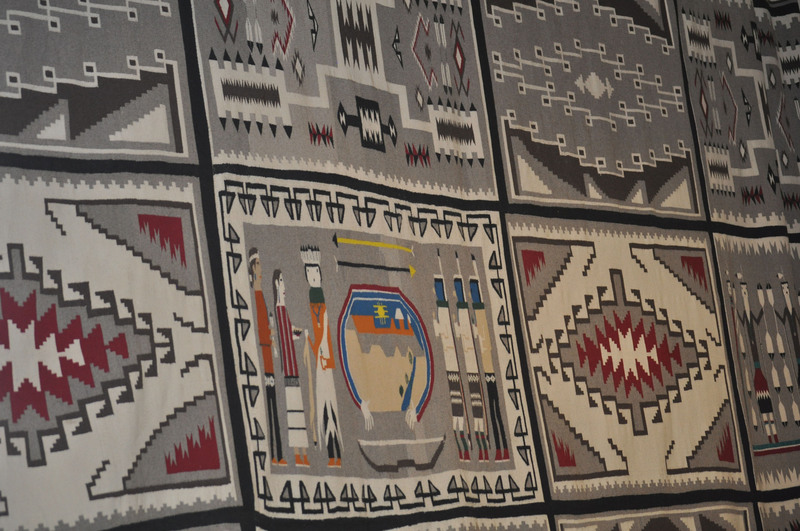 The rug is displayed at special events on the reservation and in nearby areas. Its journey to the Bosque Redondo Memorial will be the first time it has traveled so far to be on exhibit and never for such a long period of time at one location. 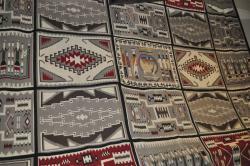 Members of the Chilchinbeto Chapter had to first determine whether it would be appropriate to allow the rug to be displayed at Bosque Redondo, a site of suffering as a result of the forced march and imprisonment of Navajo and Mescalero Apache referred to as The Long Walk. Their decision to permit the exhibition of the rug is a major step toward healing of the wounds endured between 1864 and 1868. The New Mexico State Monuments is a division of the New Mexico Department of Cultural Affairs. Hours:Wednesday - Monday 8:30 a.m. - 5 p.m. Closed Tuesdays. Location: Fort Sumner, New Mexico on Billy the Kid Road. Visitor Facilities: Museum Shop, picnic area adjacent to the Pecos River, Old Fort Site Trail, and 3/4 mile River Walk Trail. Wheelchair accessible. Dining Options: Local restaurants in nearby Ft. Sumner Village. Nearby Attractions: As you exit the State Monument and immediately next door on Billy the Kid Road, stop by the gravesite where the infamous outlaw was buried. Also in Ft. Sumner Village is the Billy the Kid Museum, along with restaurants and antique stores near the intersection of 60/84 heading north towards Santa Rosa. From Ft. Sumner Village take 84 West to Vaughn on 54 South to Carrizozo and follow signs east to Lincoln State Monument.